Summer may seem far in the distance, but the time to think about it — especially for kids — has arrived. 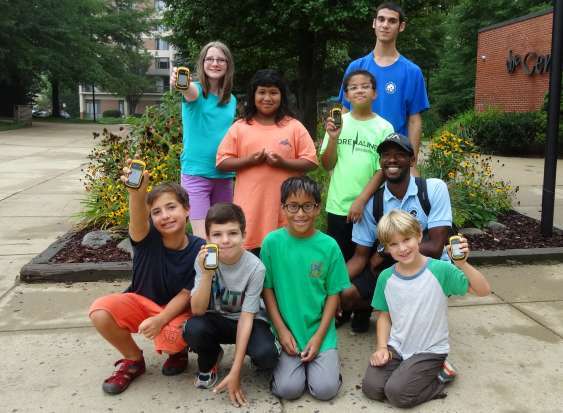 Reston Community Center will host its fourth annual Reston Camp Expo on Saturday. The event is an opportunity for parents and children to learn about all the opportunities available to them in the area once school is out, said Eileen Boone, RCC learning and leisure director. Boone said the expo was originally the idea of Reston founder Bob Simon. In addition to RCC, many other organizations will be present at the expo to share their summertime offerings. Exhibitors will include Reston Association, Fairfax County Public Schools, the county Parks Authority, the county Department of Neighborhood and Community Services, Reston Regional Library, YMCA Fairfax County Reston and more. On top of that, Boone said, representatives from area nonprofit youth sports organizations including Reston Soccer, Great Falls Youth Rugby Club, Herndon-Reston Youth Field Hockey and others will be at Saturday’s event. Boone said many regional summer camps and clubs will begin enrollment soon, and they often fill up quickly. Some organizations will be registering campers at the expo, Boone said. Attendees do not have to register on-site, however, as they will receive an updated Camp Resource Guide to help them research their decision for summertime fun. The expo will be at RCC’s Hunters Woods location (2310 Colts Neck Road) beginning at 9 a.m. Saturday. For more information, call Boone at 703-390-6162.